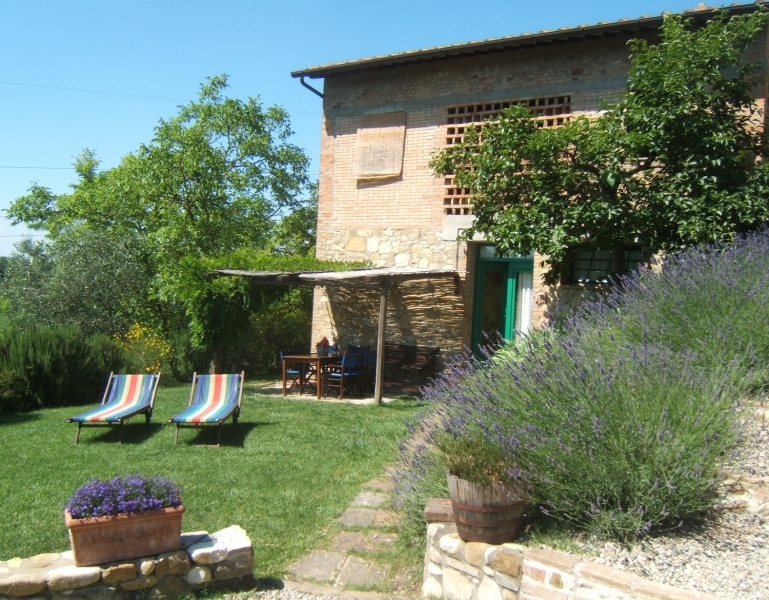 The ancient farmhouse, the former barn and the wood-house have been carefully restored and tastefully furnished, preserving the original structure together with the characteristics of old Tuscan houses. 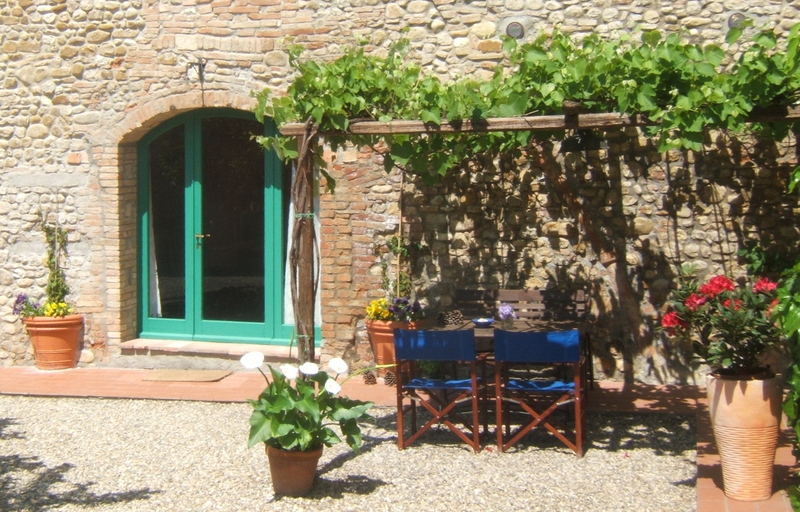 Each apartment has its own independent entrance, a beautiful panoramic view of the countryside, and a private outdoor space in the shade of a grape pergola, equipped for outdoor lunches and candlelit dinners. 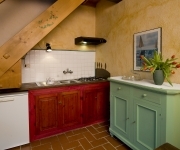 In every apartment there is a fully- equipped kitchen. 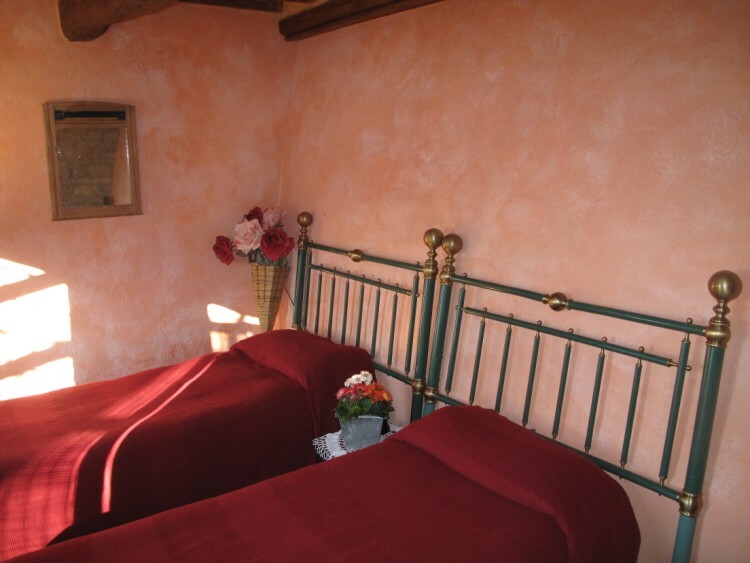 Linens are provided. 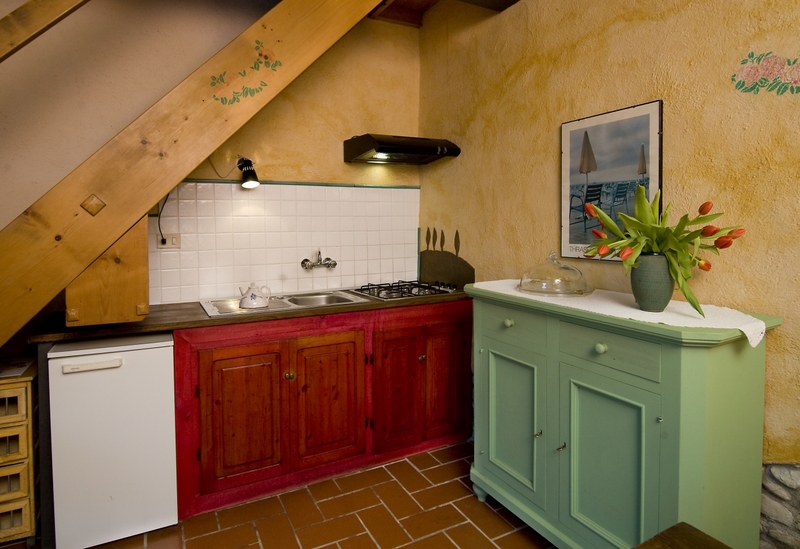 At the swimming pool, each apartment has its own beach umbrella, with deckchairs and comfortable sun beds. 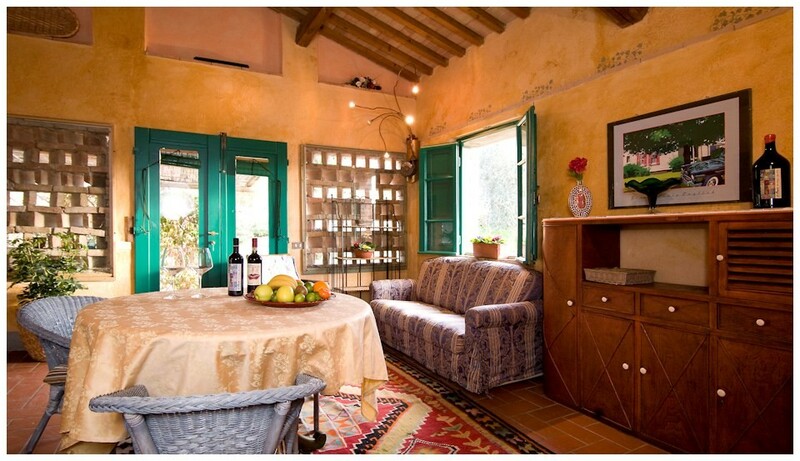 This is the largest and most charming apartment. 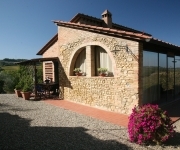 Built in the former barn and restored in traditional Tuscan style with stone walls and red “cotto” floor tiles, it can comfortably accommodate up to six people. 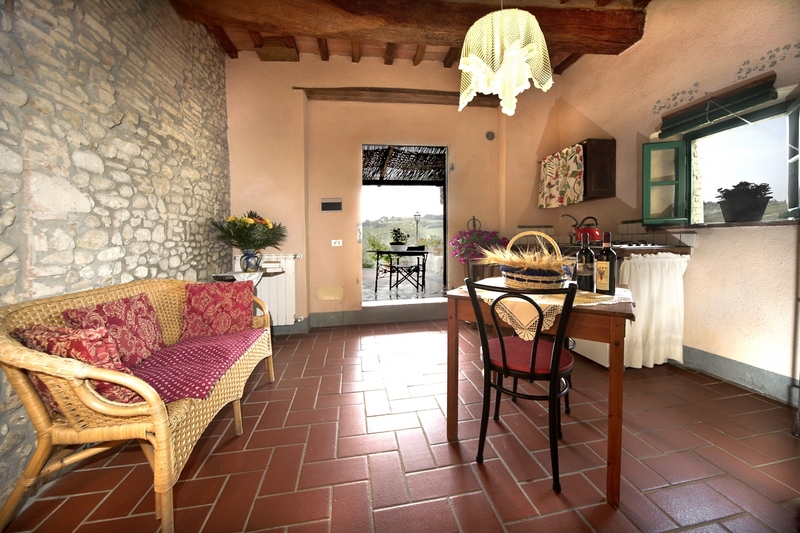 The “Fienile” consists of a large living room with a kitchen corner, two double bedrooms, one bedroom with two single beds, and two bathrooms. 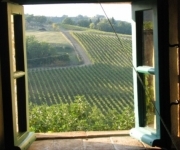 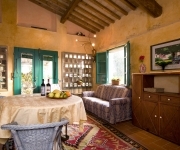 The living room and one of the double bedrooms have a wonderful view onto our vineyards and the surrounding hills. 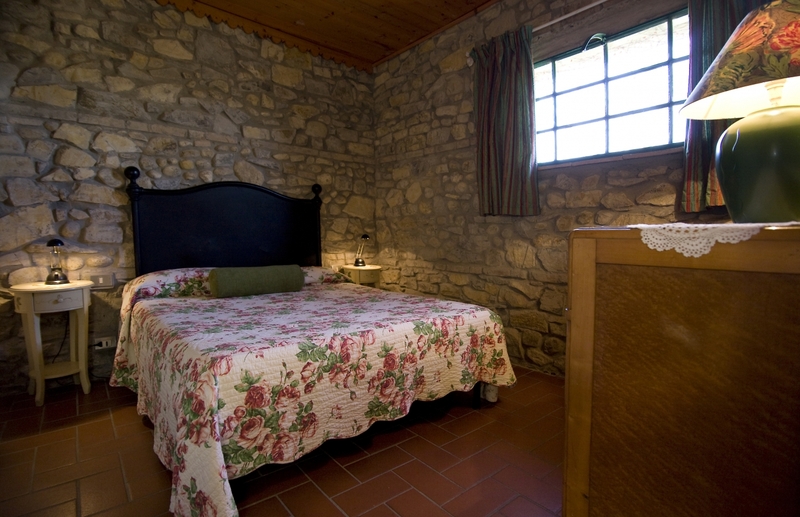 The other large, beautiful double bedroom has a fireplace and an ensuite bathroom. 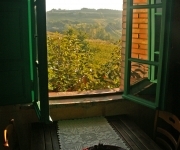 From this bedroom, thanks to a huge glass wall, you can enjoy a beautiful view of the countryside. 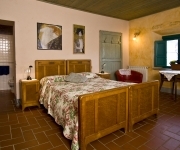 This room is connected to another bedroom with two single beds and an independent entrance. 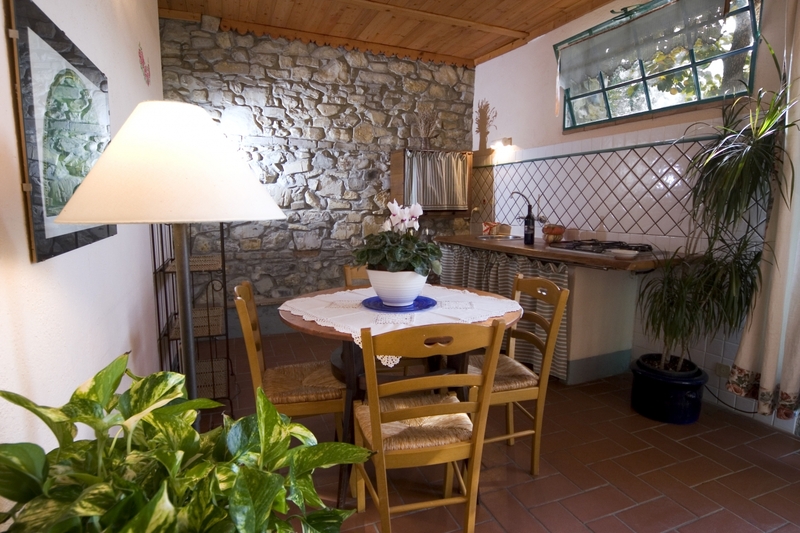 Outside the apartment there is a large, bigonia pergola with table, chairs, and a wonderful panoramic view. 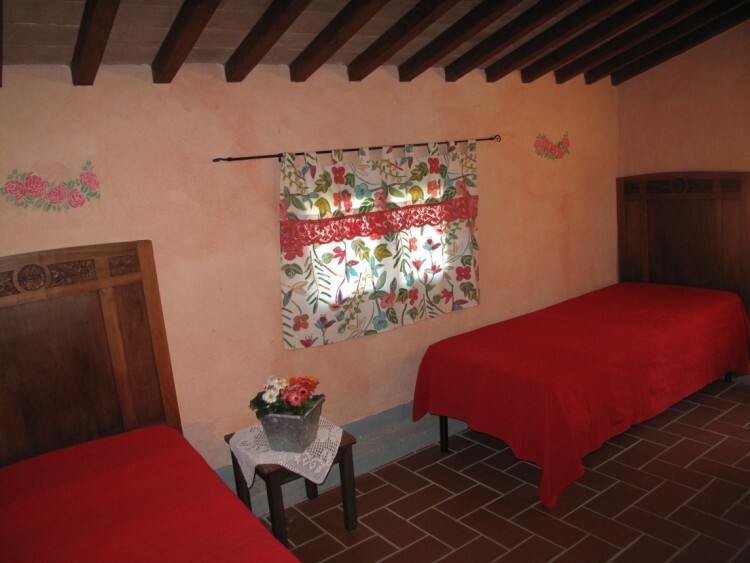 This is the former wood-house, which has been restored in traditional Tuscan style, with stone walls and red “cotto” flooring. 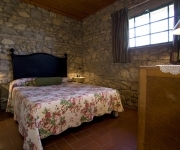 Ideal for a family, it consists of a living room with a kitchen area, a double bedroom, a small bedroom with two single beds, and a bathroom with shower. 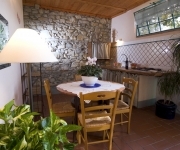 All around the apartment there is a large, private garden that opens to the valley and that gently descends towards the swimming-pool. 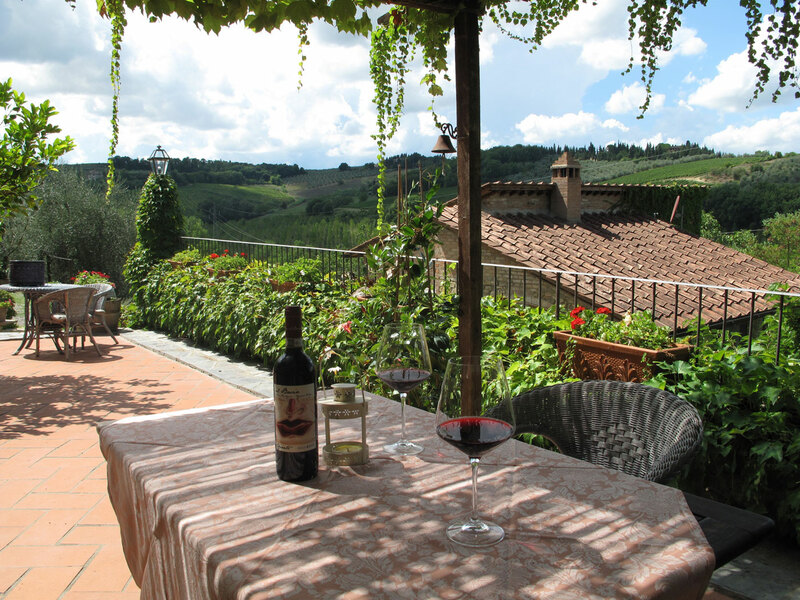 In the garden there is a wisteria pergola with table and chairs, from where you can enjoy a wonderful panoramic view of the countryside. 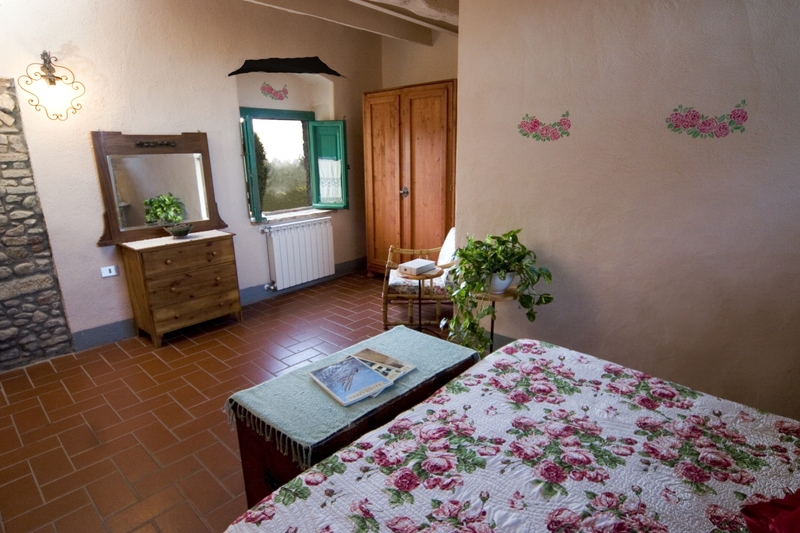 This is an apartment on two levels in the ancient farmhouse, ideal for a couple with a child. 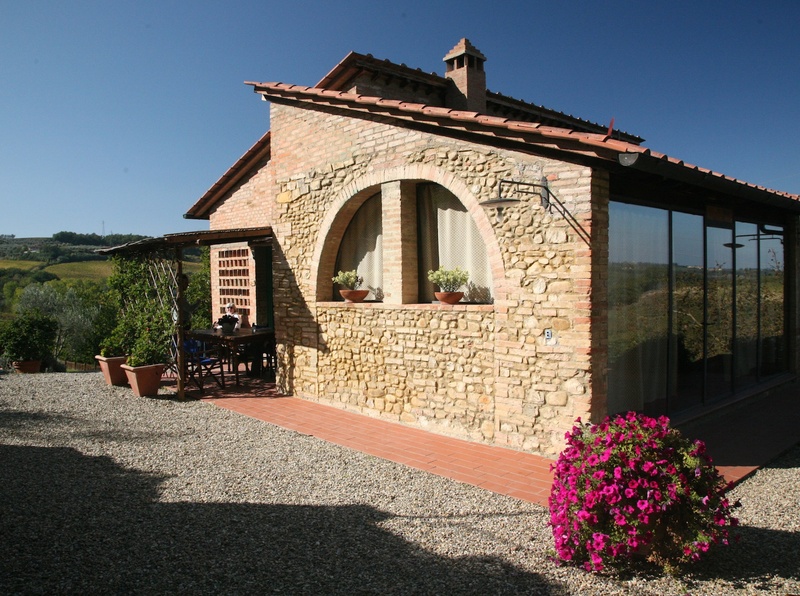 Restored in traditional Tuscan style, it has stone walls and red “cotto” pavement. 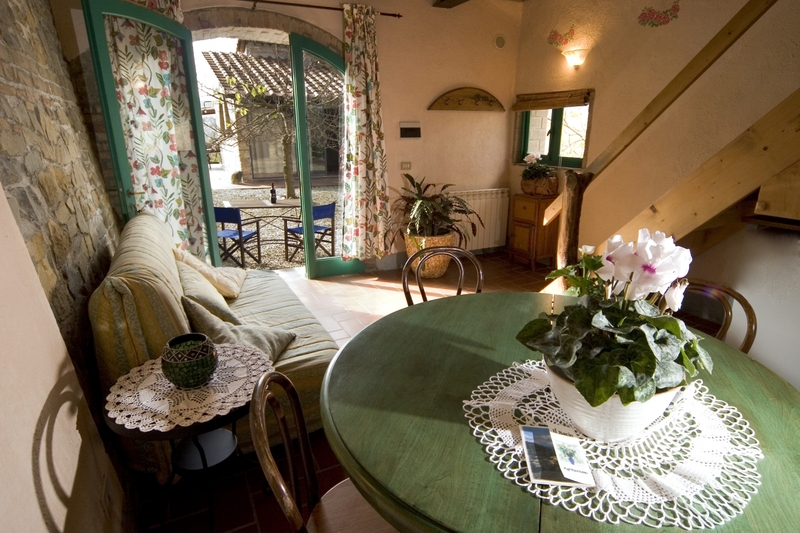 On the ground floor there is a living room with a small kitchen area and a large, comfortable sofa bed. 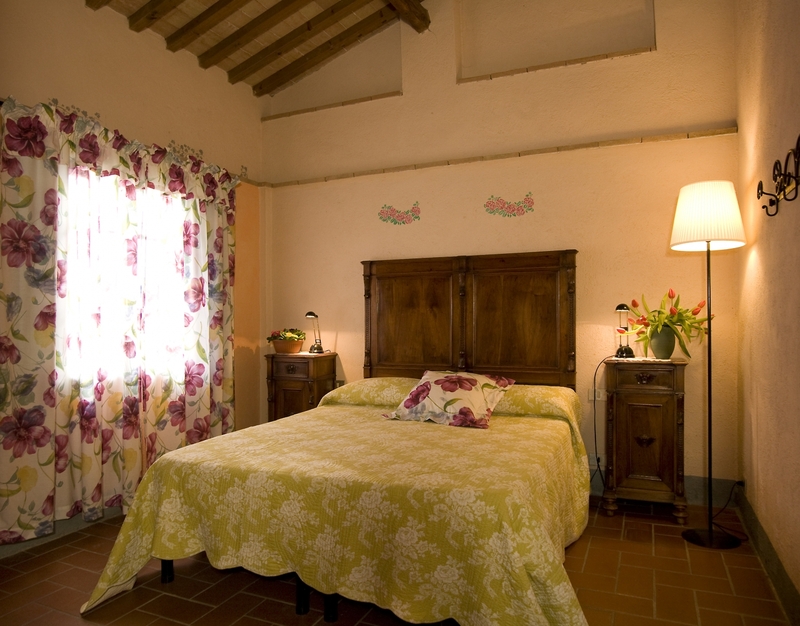 On the second floor there is a large, double bedroom and a bathroom with shower. 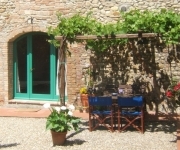 Outside the apartment there is a strawberry-grape pergola equipped for outdoor lunches and candlelit dinners. 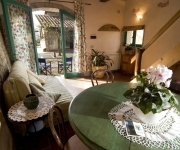 This is a charming apartment in the ancient farmhouse, ideal for a couple, plus possibly a small child. 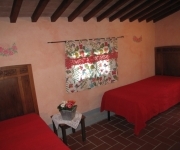 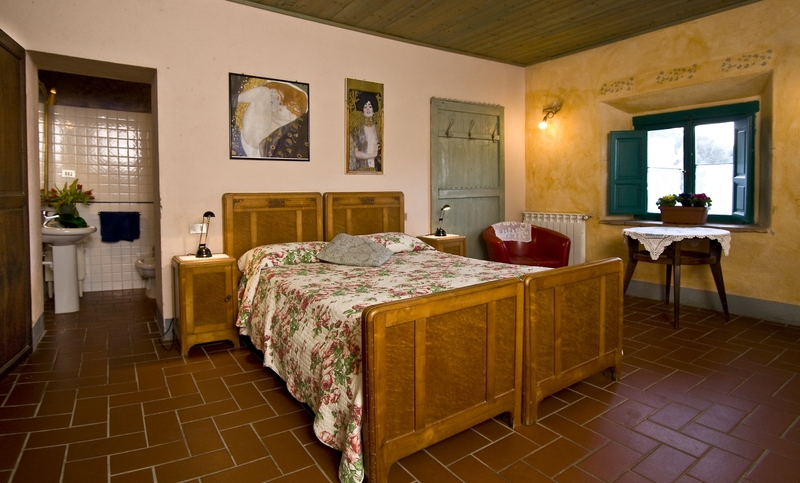 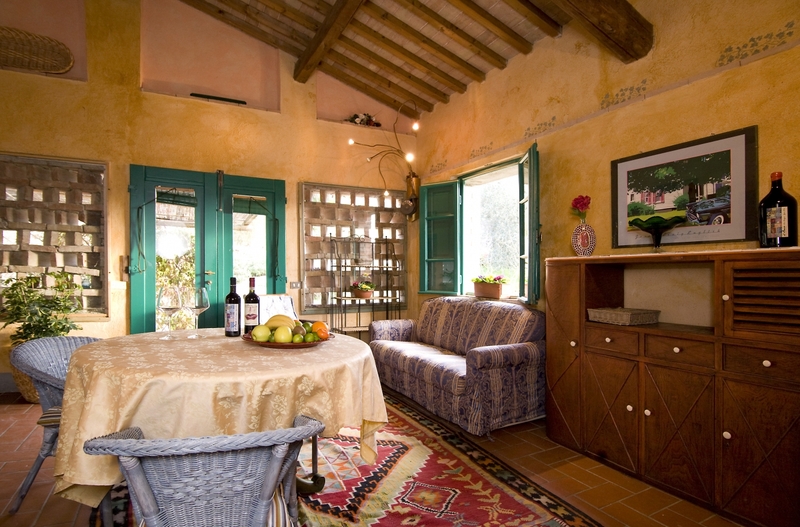 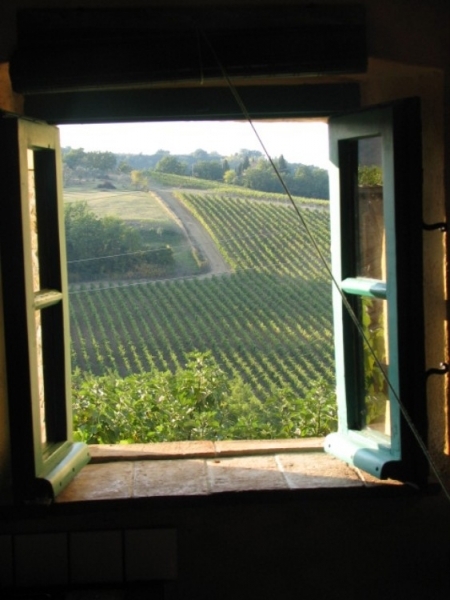 Restored in authentic Tuscan style, it has stone walls and red “cotto” flooring. 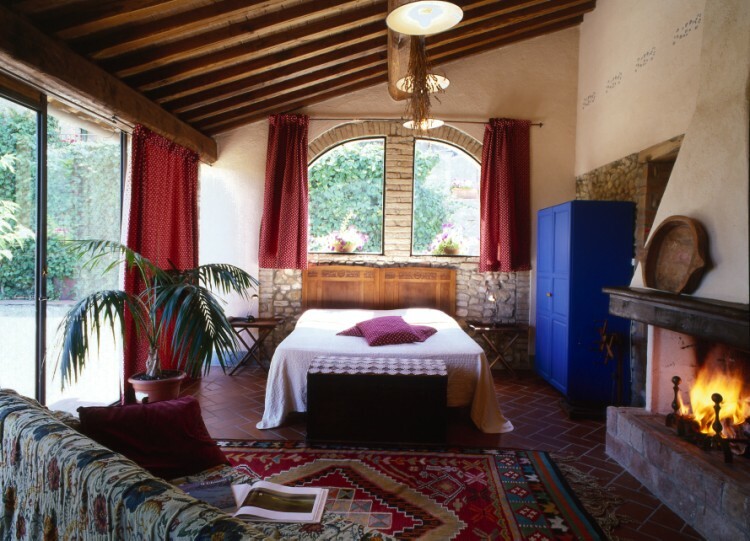 The “Aia” is composed of a cozy living room with kitchen corner, a large, romantic double bedroom, and a bathroom with shower. 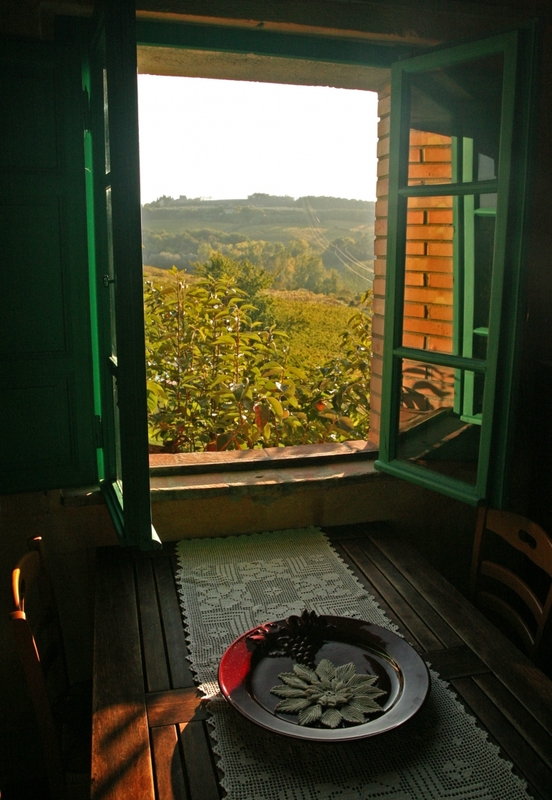 From the bignonia pergola in front of the apartment, equipped for outdoor lunches and candlelight dinners, you can enjoy a wonderful panoramic view of the countryside.